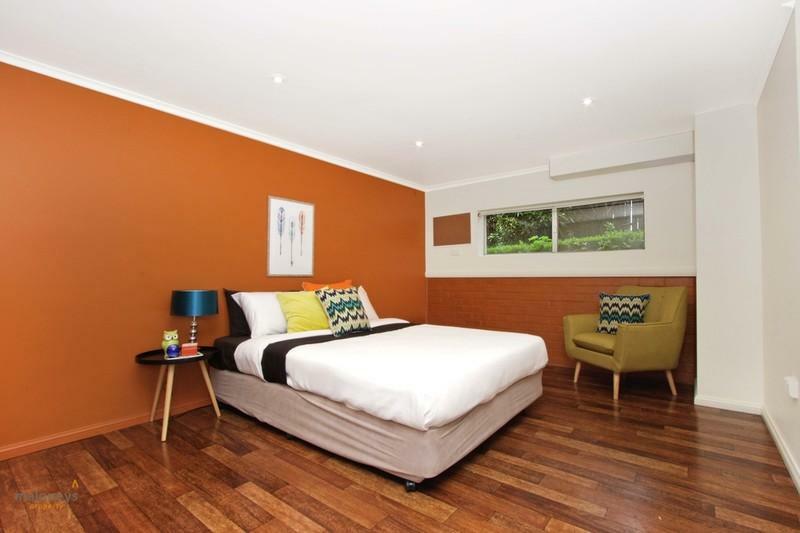 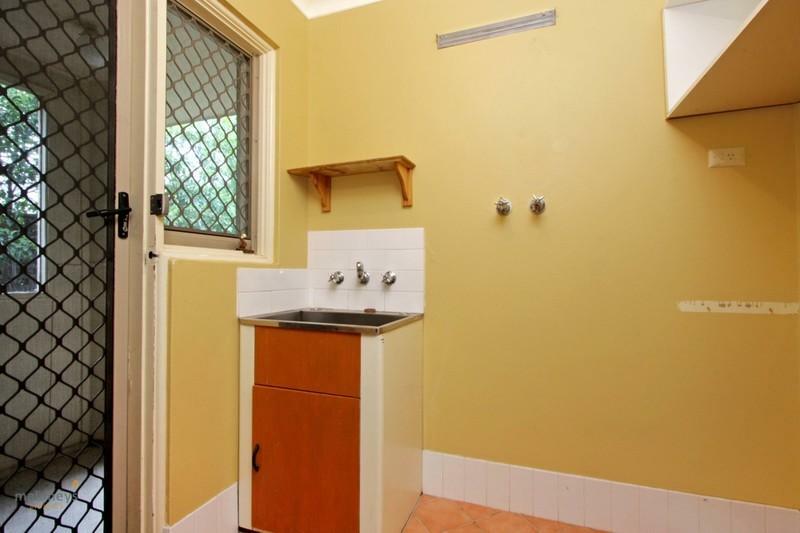 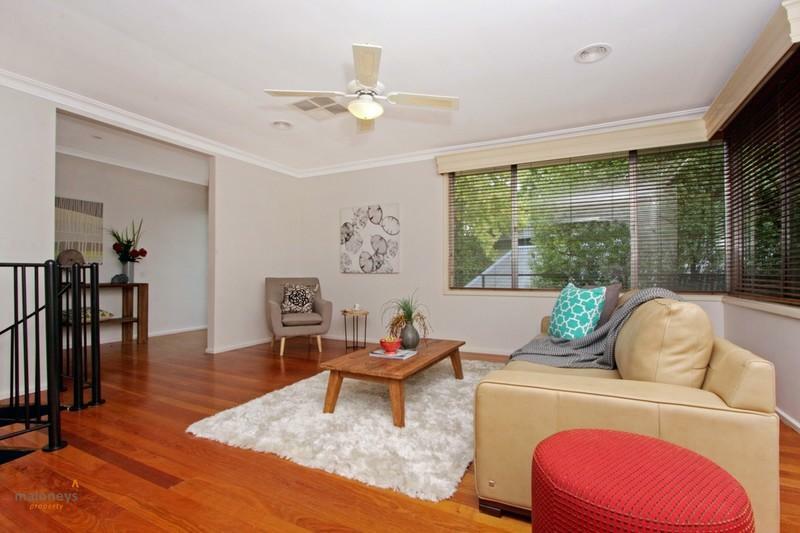 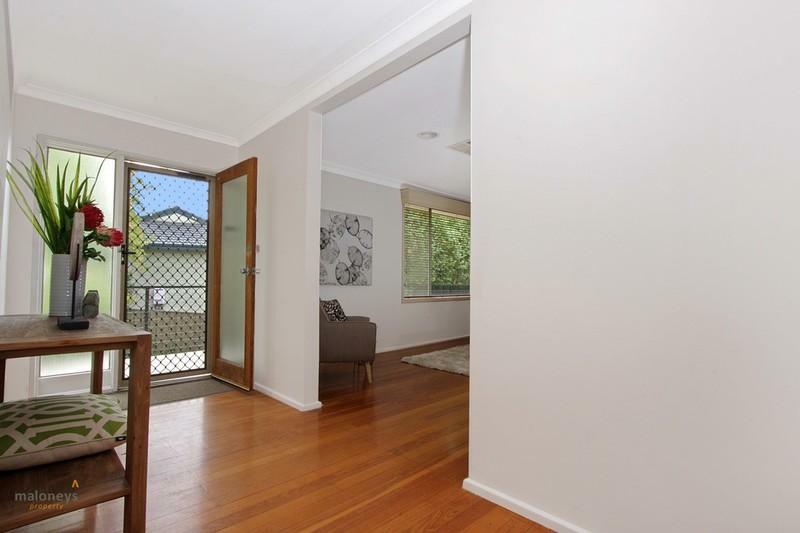 Ideally situated in leafy Curtin in a quiet loop street, with only a short stroll to shops, schools and bus stops, this lovingly maintained home would be ideal for a professional couple, growing family or for those wishing to work from home. 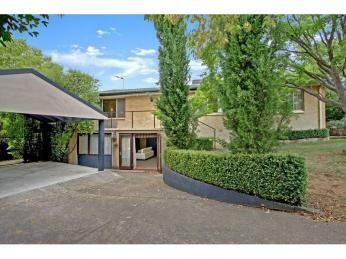 From the moment you drive into your double carport you will feel at home in the lush green surroundings of this inviting garden. 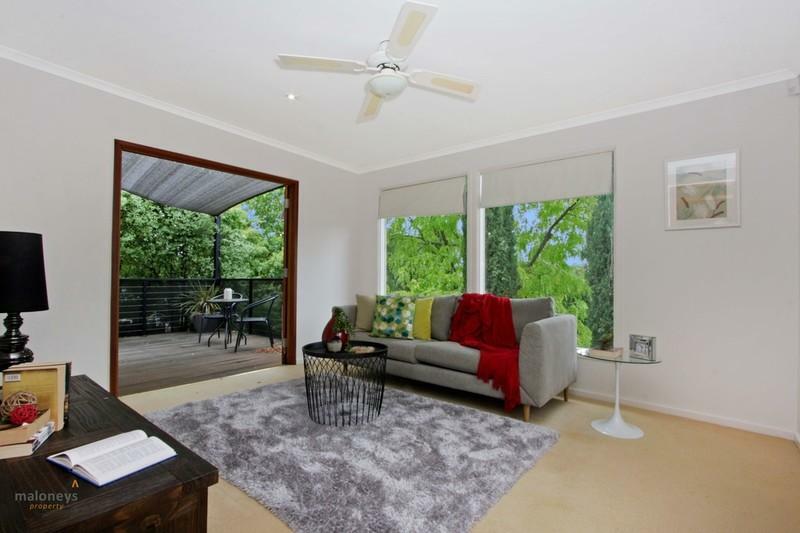 You will walk up the path to the spacious lounge room featuring timber floorboards, separate family room and windows overlooking the garden. 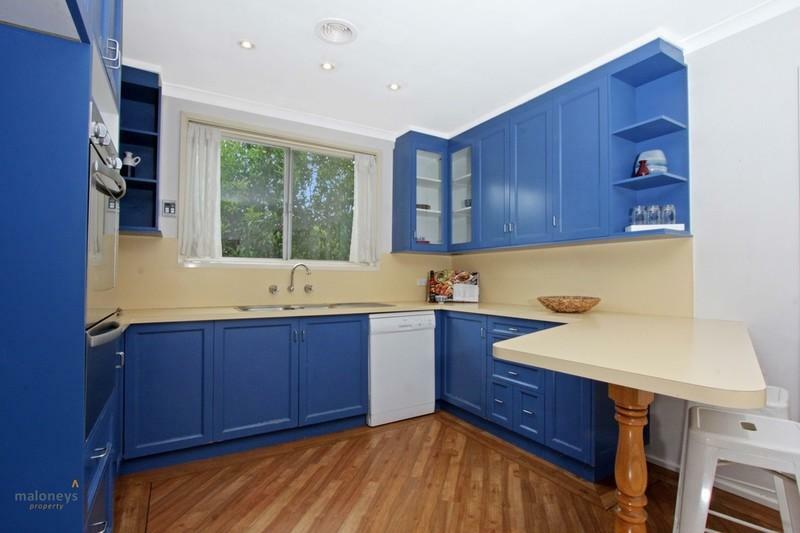 In the well-appointed kitchen you are surrounded by endless bench space and cupboards, gas cook top, electric oven and dishwasher. 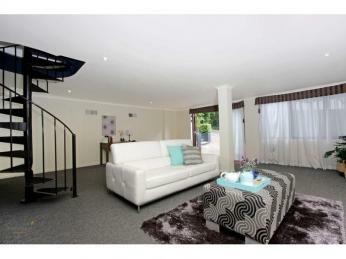 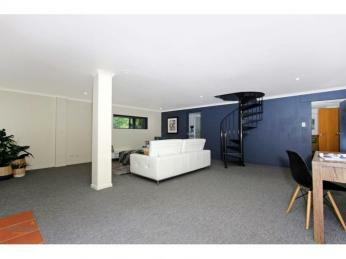 Upstairs you’ll find 3 bedrooms (all with built in robes) with separate formal lounge, dining and family rooms. 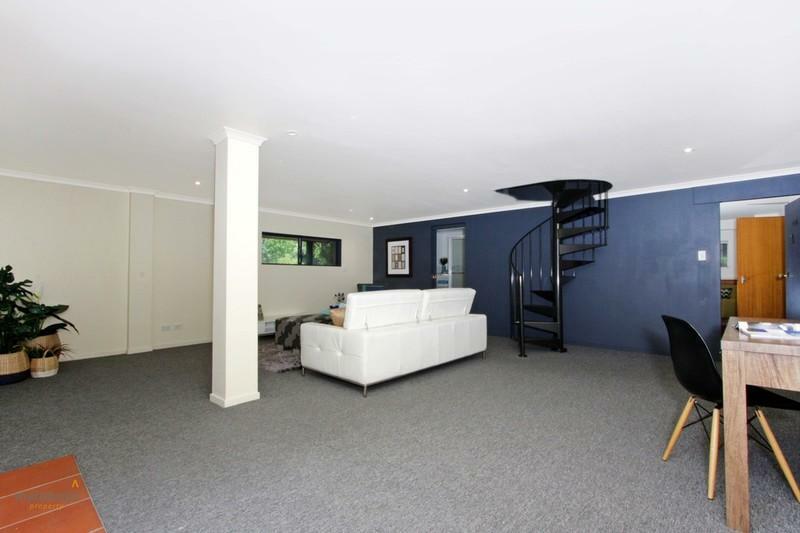 Down the spiral stair case you will find a large multi-purpose space for extra living and bathroom as well as a small area which could ideally be used as a kitchenette – great for a teenage retreat and/or office and rumpus. 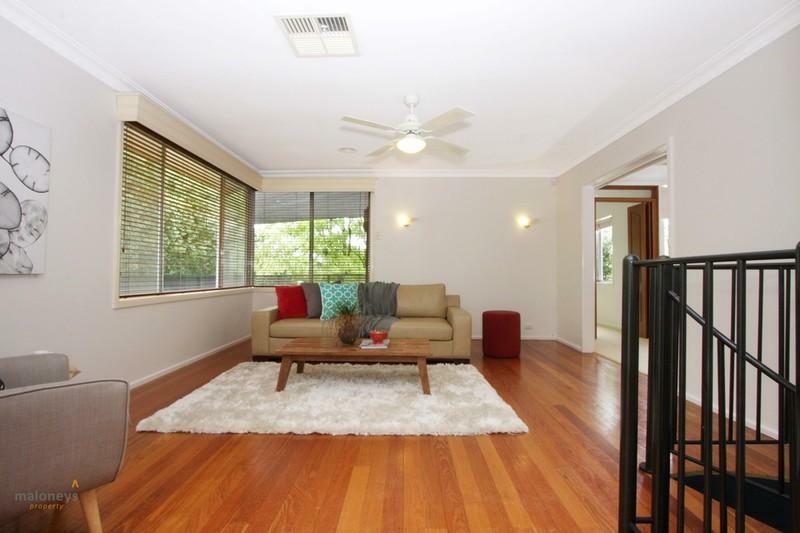 The home faces north so you’ll benefit from natural sunlight in the winter and shade in the summer, and there is ducted gas heating and evaporative cooling, as well as ceiling fans in most upstairs areas. 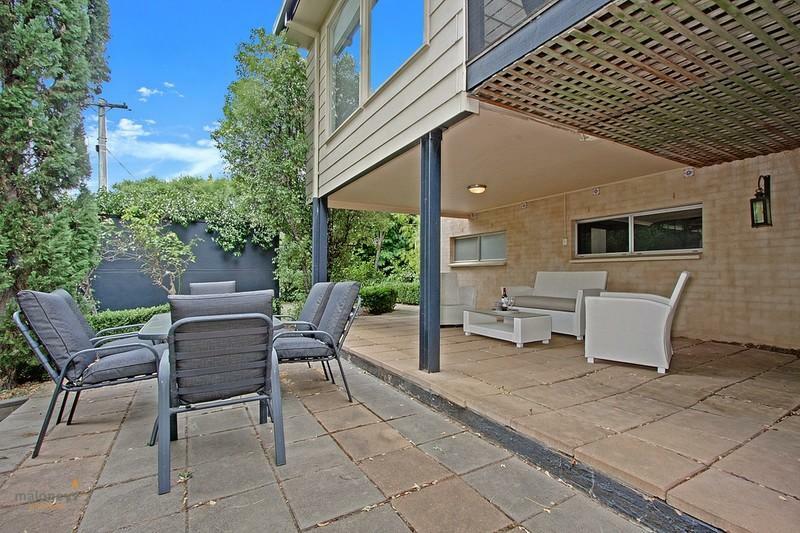 If you enjoy entertaining outdoors, there’s plenty of space with the two great outdoor living areas, one off the family room upstairs, and the second under cover downstairs in the beautifully established garden. 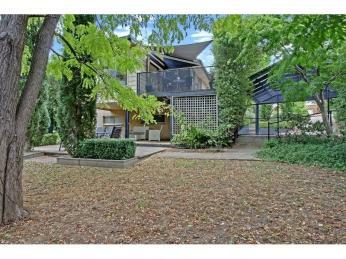 This is a central Woden area, minutes to the main Westfield’s, bus links, schools and child minding centres. 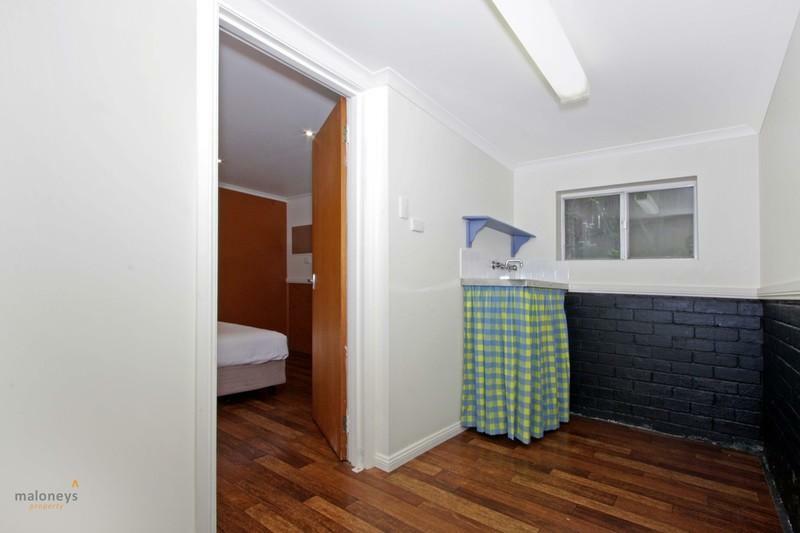 5 minutes to the parliamentary triangle and 10 minutes to the Canberra City Centre. 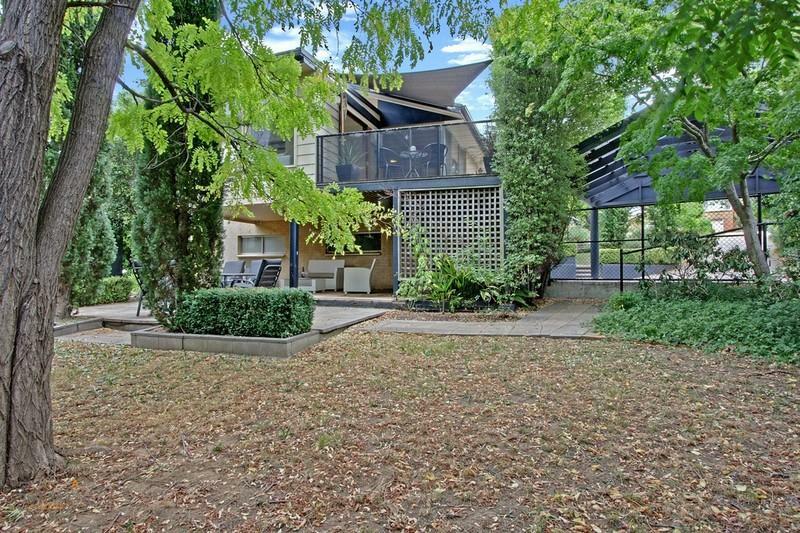 If you enjoy walking or cycling, you are only a minute away from the cycle path leading you towards Woden, the city, or just meandering around the open spaces of this centrally located suburb. 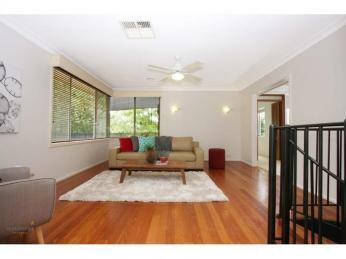 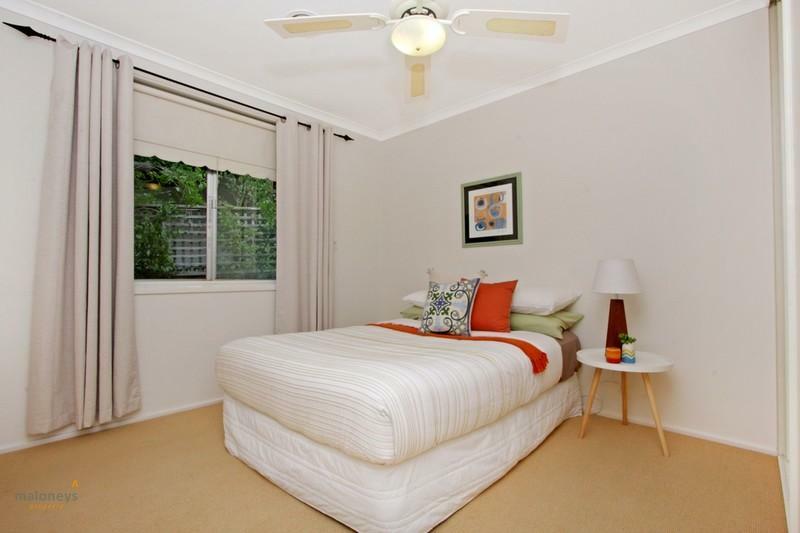 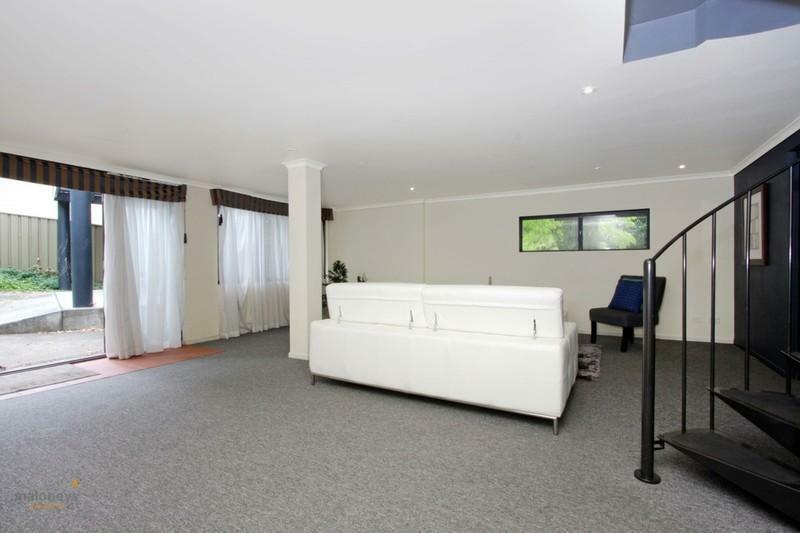 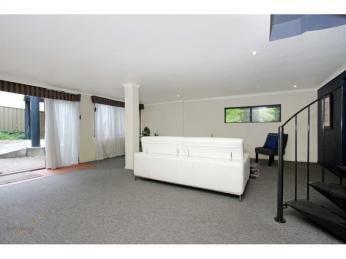 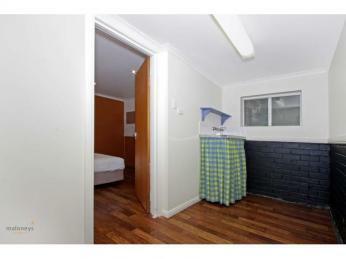 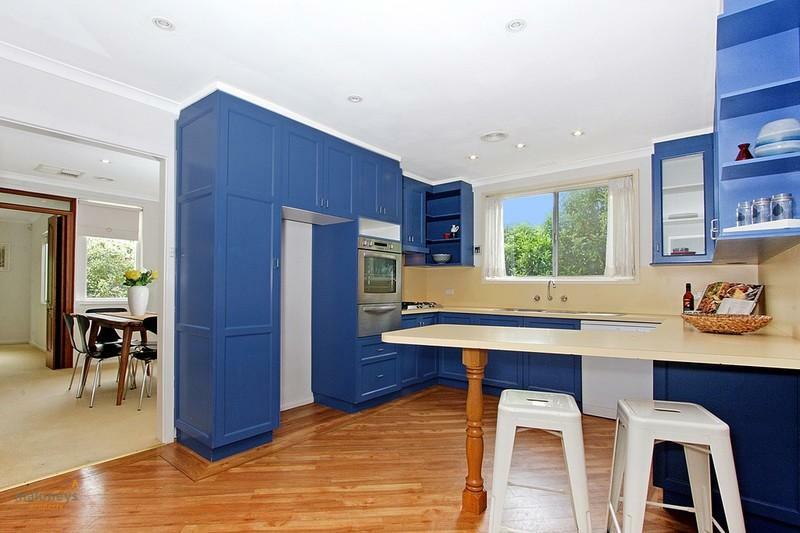 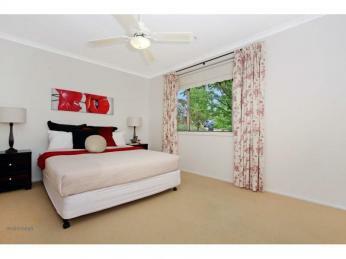 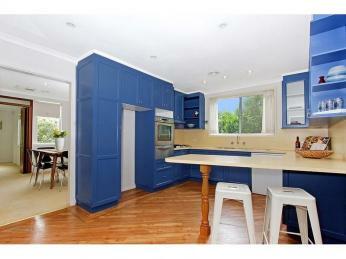 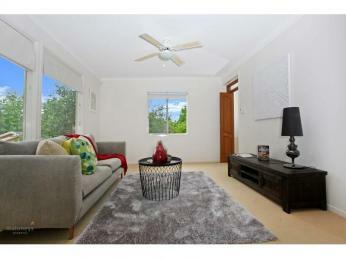 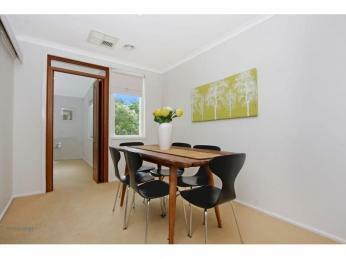 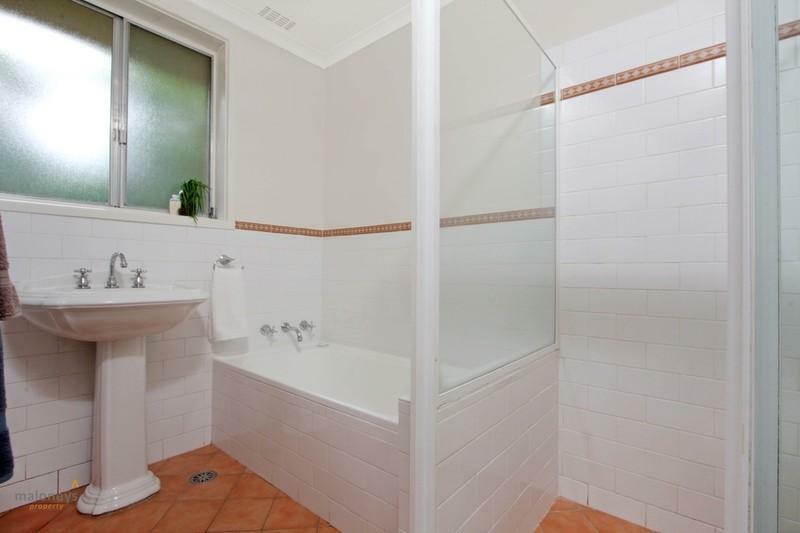 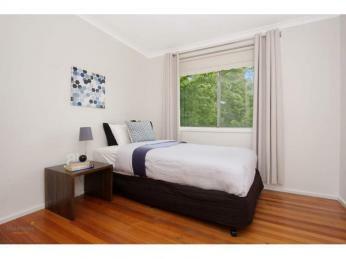 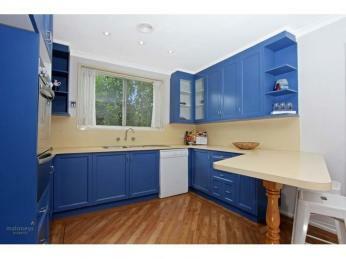 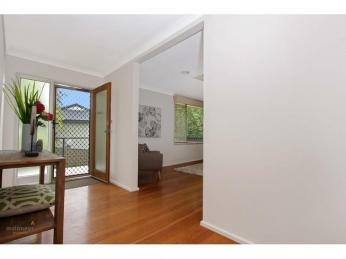 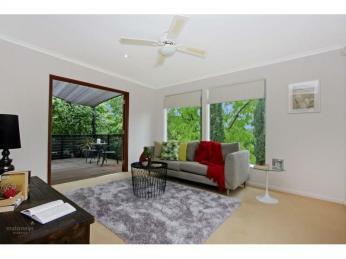 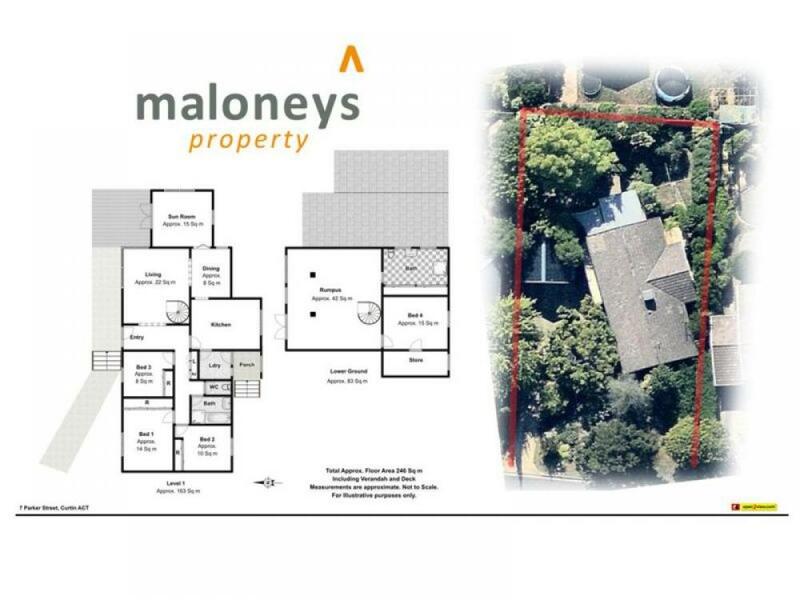 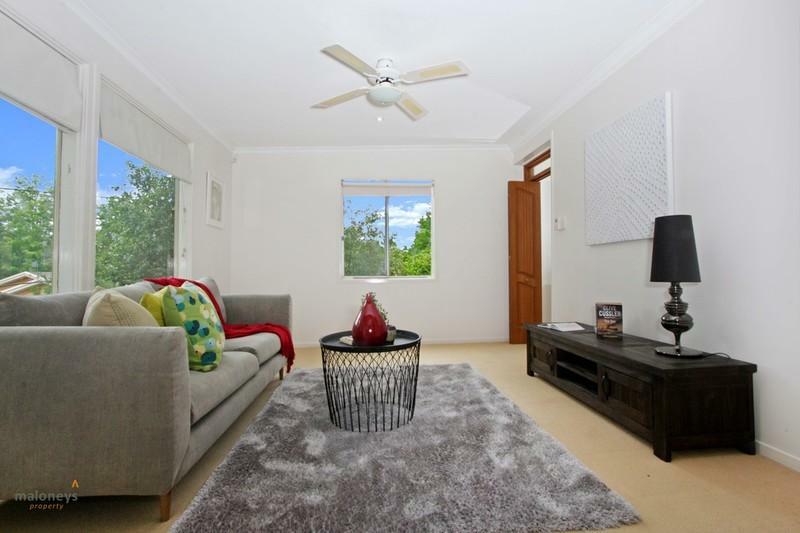 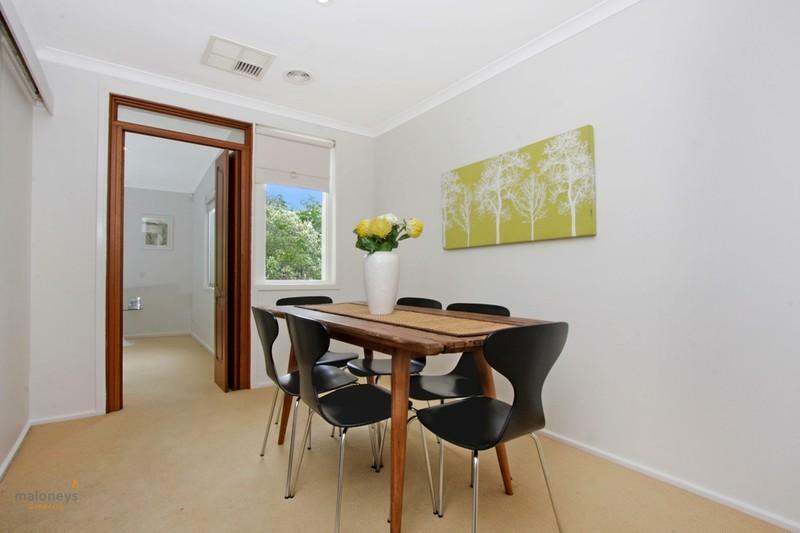 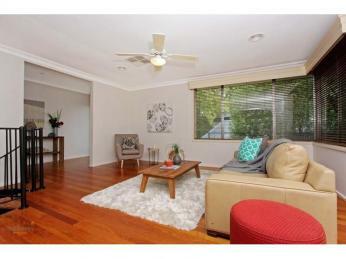 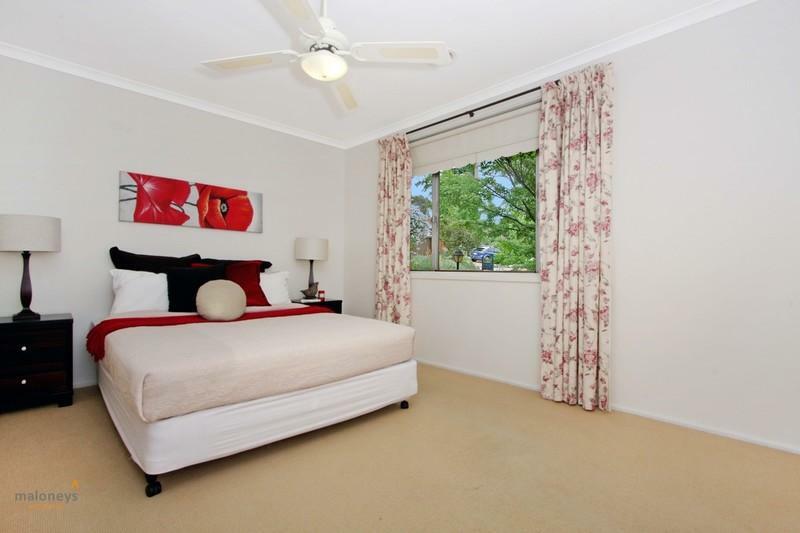 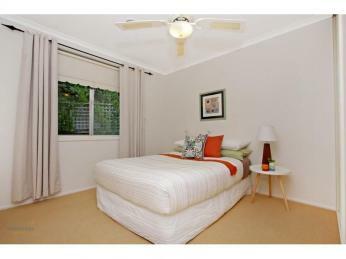 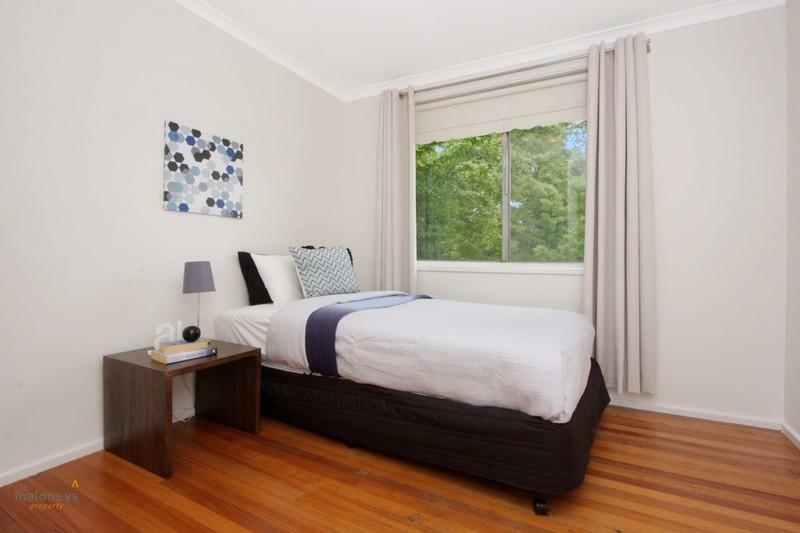 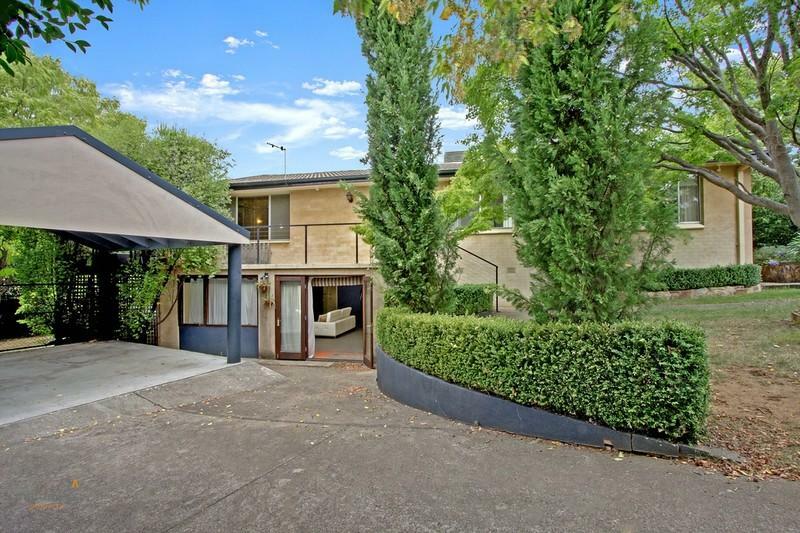 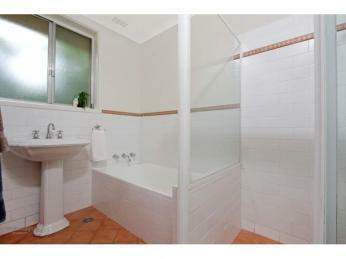 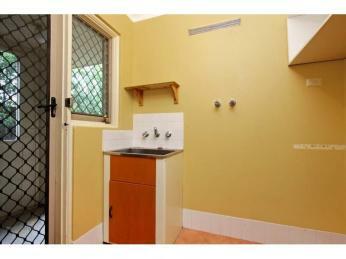 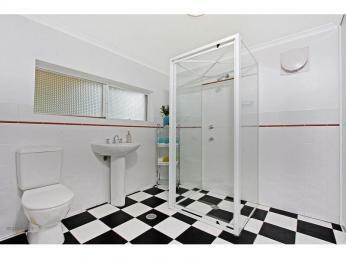 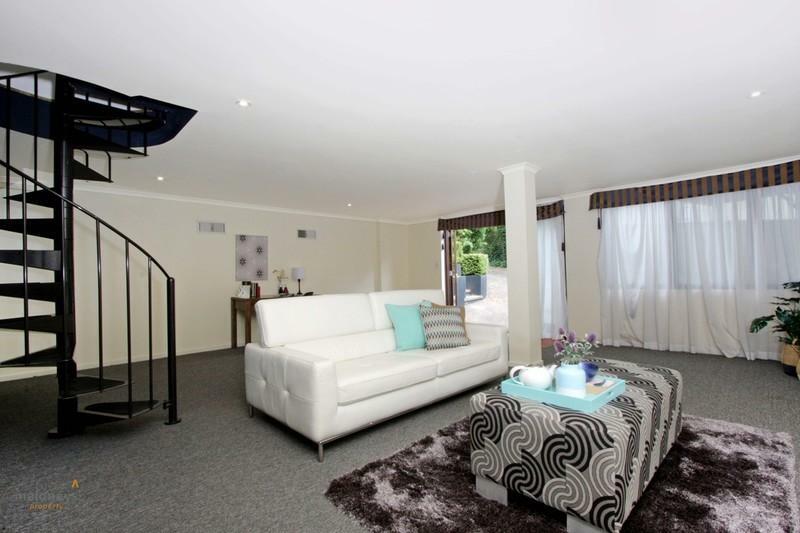 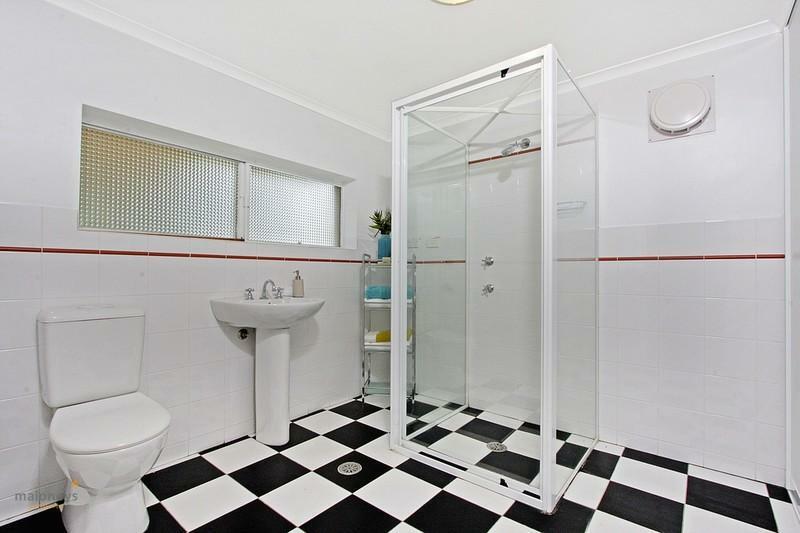 - 5 minutes to the parliamentary triangle and 10 minutes to the Canberra City Centre. 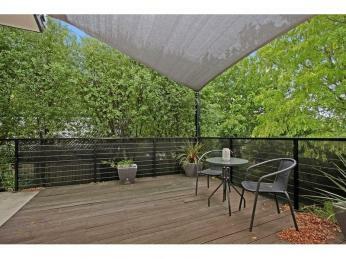 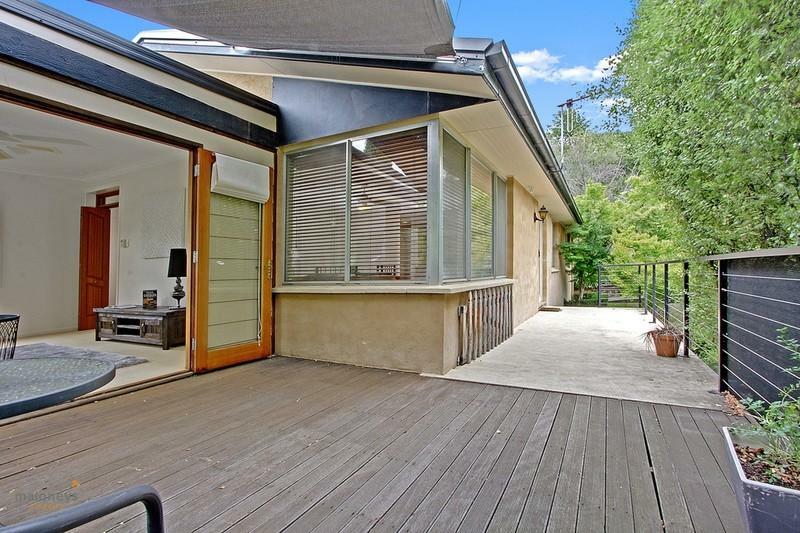 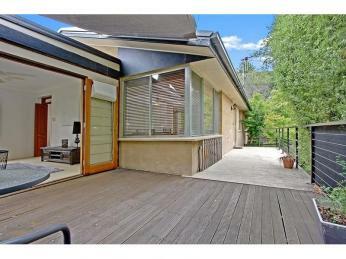 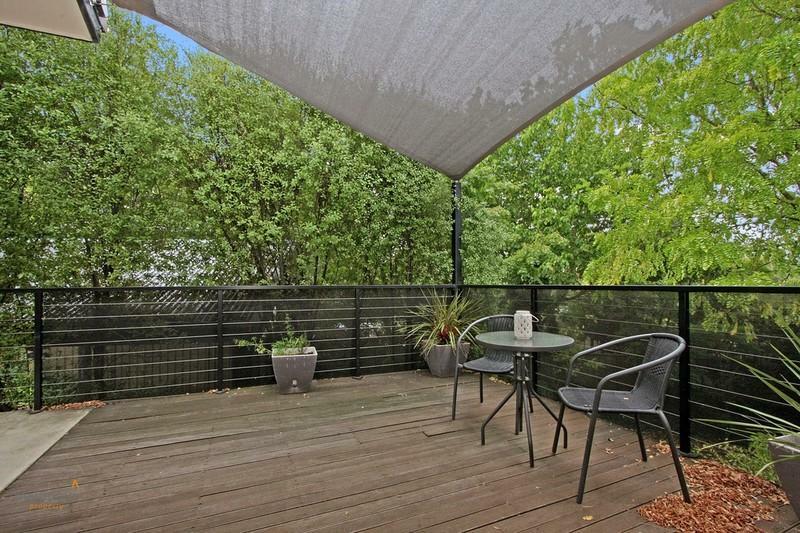 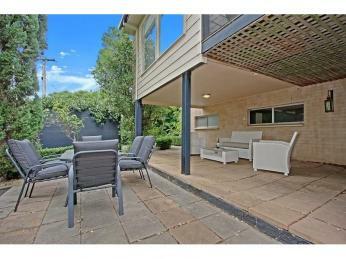 - Two outdoor areas perfect for alfresco dinning & BBQs, in an enclosed yard.